There’s probably fertile ground to debate the quality of many of the recent resurgence in reformed acts (In fact there’s equally just as much ground to quibble about the quality of artists who have long outstayed their welcome…). Where Lush appear on that particular scale depends largely on your view of UK music in the late 80s and early 90s. It was certainly a period of creative strengths and, arguably, Lush were one of the acts that could deliver with their own particular brand of ethereal goodness. But Lush themselves managed to jump around within the confines of their sound of choice. There’s a raw quality to their 1989 debut release Scar, but a much more languid and (at times) darker approach to their Split period in 1994. Finally, the quartet embraced a much more Britpop-friendly immediacy for the Lovelife album. 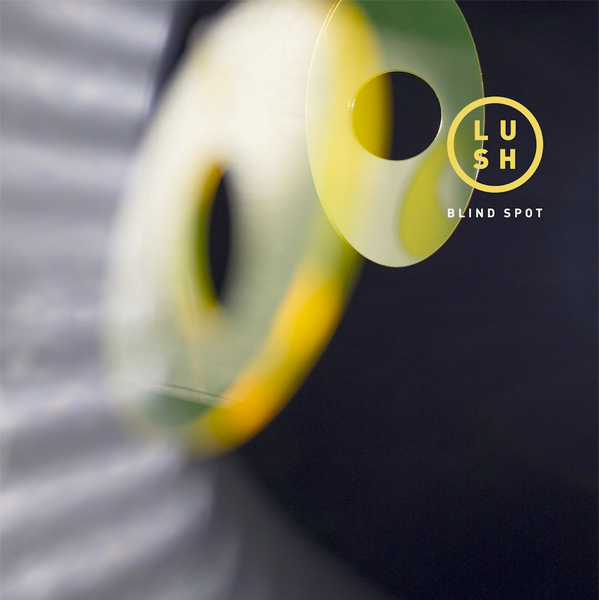 Now 20 years on from their final studio release, Lush have returned with a series of live dates and a new EP titled Blind Spot. The tracks on this release appear to be aiming for a middle ground between 1992’s Spooky and the aforementioned Split (the band perhaps wisely deciding to count 1996’s Lovelife as a one-off). ‘Out Of Control’ gives us shimmering guitars with a dense layer of immersive percussion. It’s got all the classic Lush licks, including the hypnotic and ghostly vocals. If you need a lesson plan in perfecting dreampop, then this track would be a good contender. Meanwhile, ‘Lost Boy’ opens with a more stripped-down approach with Miki Berenyi’s isolated vocal offering a mesmeric attraction. Although Lush often play around with a certain ambiguity to their lyrics, ‘Lost Boy’ is a clear musing on the Lush’s original drummer Chris Acland, whose tragic passing brought the band to a full stop back in the 1990s. The evocative qualities of ‘Burnham Beeches’ offers up a more muscular melodic arrangement, complete with brassy refrain. There’s a more melancholic tone to the closing track ‘Rosebud’ augmented by subtle string arrangements (courtesy of long-time Lush collaborator Audrey Riley). There’s a smooth and (to coin a phrase) lush finish to the production courtesy of both Daniel Hunt (Ladytron) and Jim Abbiss (who’s previously supplied production duties for the likes of Kasabian, Adele, and IAMX). The whole affair is also given a typically stylish design arrangement care of long-term Lush collaborator Chris Bigg. Blind Spot gives us a good combination of both a seamless transition from 1990s period Lush – as well as a more mature and reflective sound that seems ideally placed for their 21st Century resurgence. It’s a demonstration that as a band they still have plenty of creative power to put on show. It may be too much to expect a new album in the future, but judging by the quality of material on Blind Spot, it would be a welcome addition.